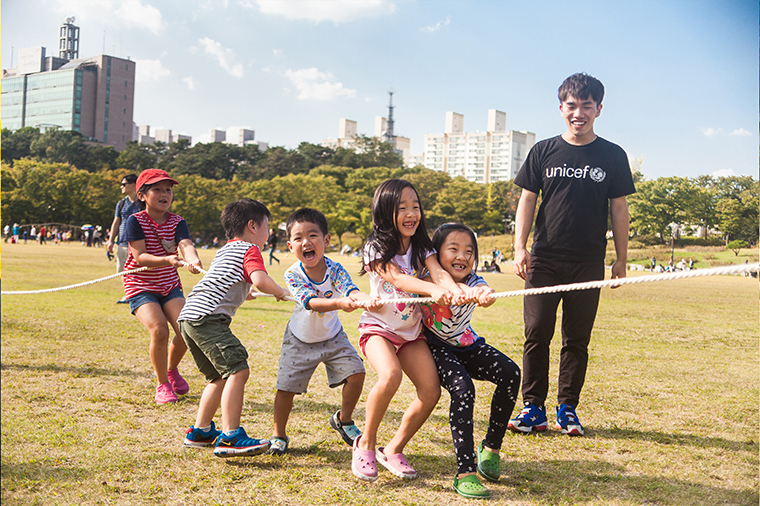 The first Child Friendly City in the Republic of Korea, Seongbuk, was officially recognized in 2013 by the Korean Committee for UNICEF (KCU) as a pilot project to launch the Child Friendly Cities Initiative (CFCI) in the country. As more municipalities expressed interest, KCU officially rolled out the initiative in 2015. 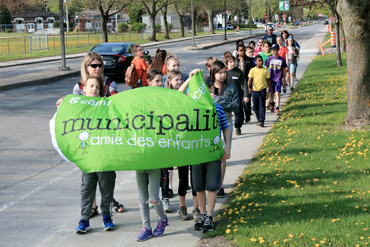 The initiative works through a network of participating municipalities called the Association for the Promotion of Child Friendly Cities (APCFC). Cities interested in forming a partnership with KCU are invited to join the network which currently has 56 members. The Korean CFCI model is very similar to the original global CFCI framework. 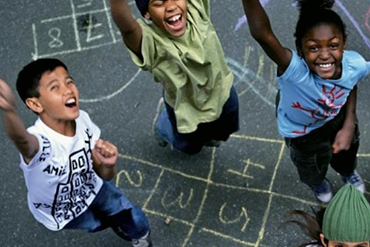 Cities wishing to become child-friendly join the APCFC and sign a non-conditional agreement with KCU. 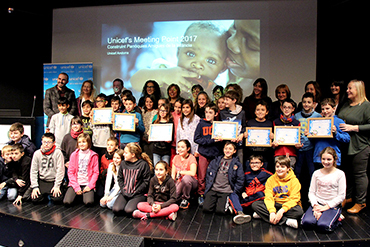 They then proceed to the official application procedure which includes completing a self-assessment questionnaire based on the original building blocks (children’s participation; a child-friendly legal framework; a city-wide children’s strategy; a children’s rights unit or coordinating mechanism; child impact assessment and evaluation; a children’s budget; a regular state of the city’s children report; making children’s rights known; independent advocacy for children; and a safe physical environment). The cities must also present a plan of action. The applications are reviewed by a committee comprising of a KCU representative, an outside NGO representative, and professors in different fields related to child rights and wellbeing. In order to receive CFC recognition, municipalities must be given a favourable review and receive 60 points or more out of 100 on a scoring system. Currently, 26 cities in the Republic of Korea hold CFC recognition. These include Dobong, Gangdong, GangSeo, Jongno, Seongbuk, Songpa, Nowon, Seongdong, Gwangjin (boroughs of Seoul), Geumjeong (a borough of Busan), Seo (a borough of Gwangju), Wanju, Gunsan, Osan, Jeonju, Chungju, Sejong, Suwon, Yuseong (a borough of Daejeon), Seo (a borough of Incheon), Asan, Yeongju, Gwangyang, Suncheon, Gwangmyeong,and Dangjin. The numbers are expected to grow significantly in the near future, as many mayors have found the concept attractive. The initiative has received recognition at the national level. The Ministry of Health and Welfare also included it in its 2015–2017 National Action Plan for Children. 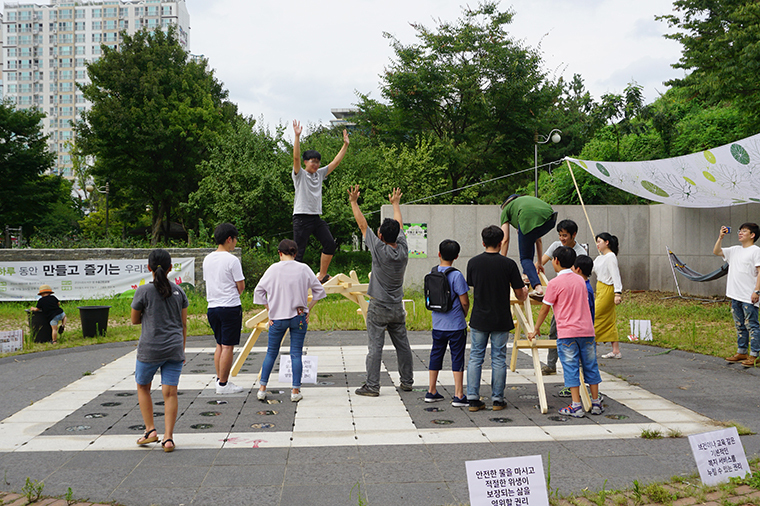 Children climbing up a wooden bridge during a workshop for a children’s park in Gunsan. 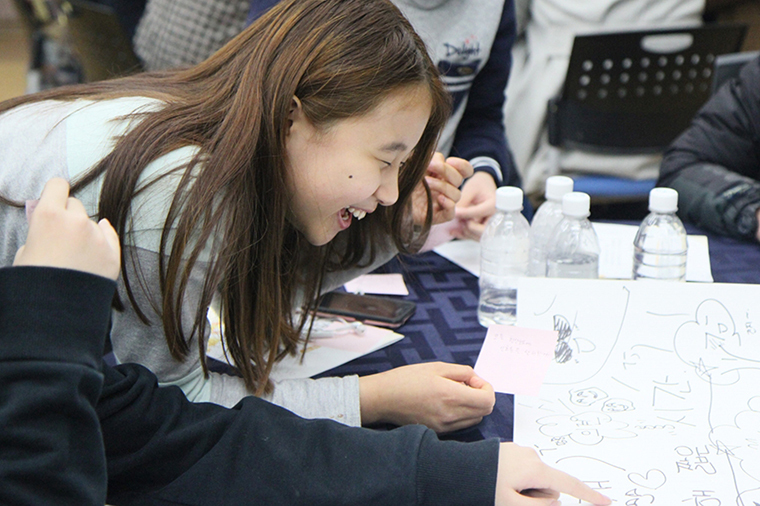 A peer review session of a participatory debate on the CFCI in Seo-gu, Incheon. 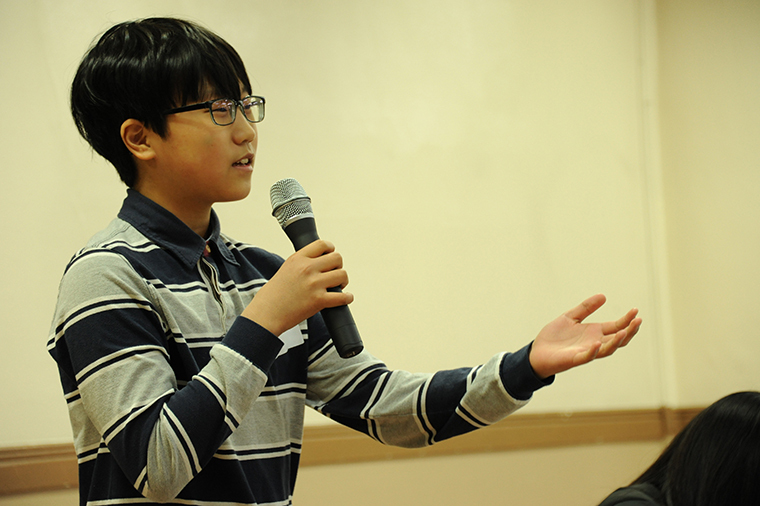 A student participant presenting his views at a workshop on child policy in Gangseo-gu, Seoul. 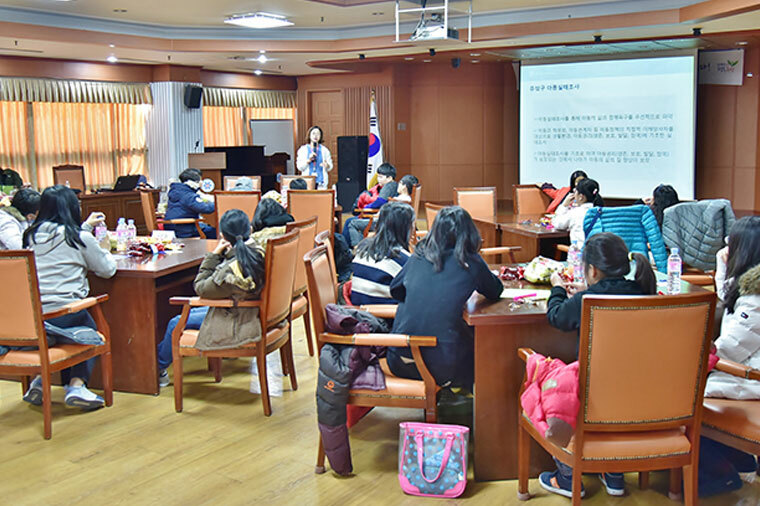 Children participating in a debate on the CFCI in Seo-gu, Incheon. 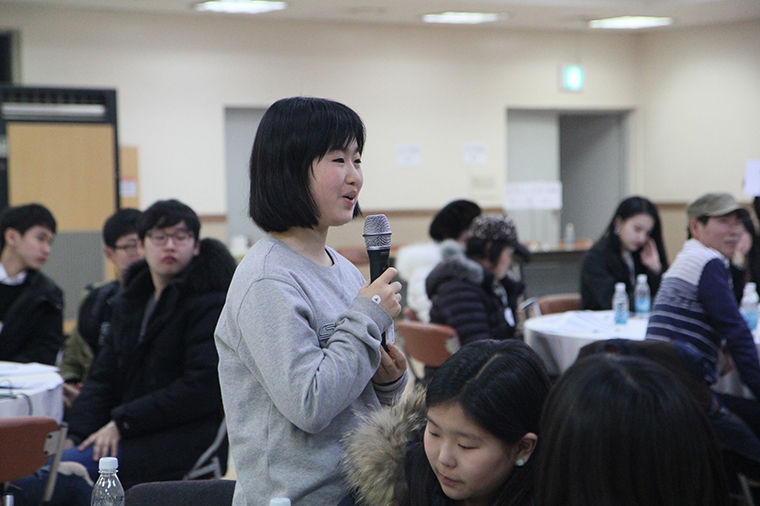 A student voices her views during a debate on the CFCI in Seo-gu, Incheon. 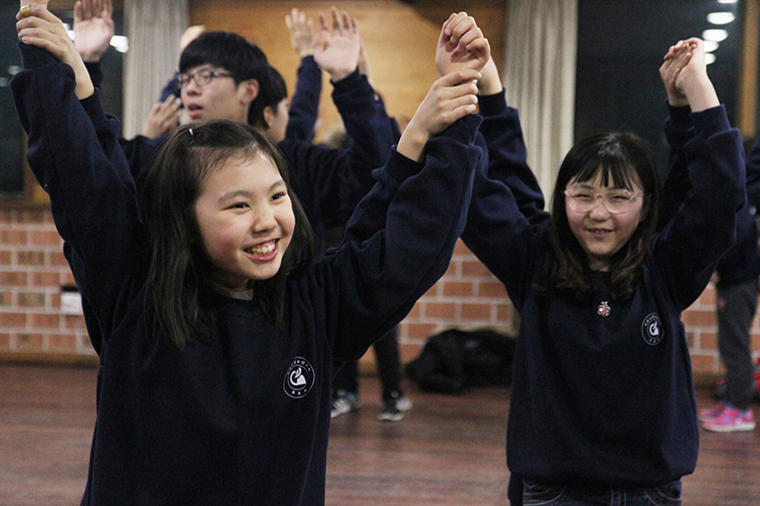 Members of the child and youth assembly during a team-building exercise in Osan. 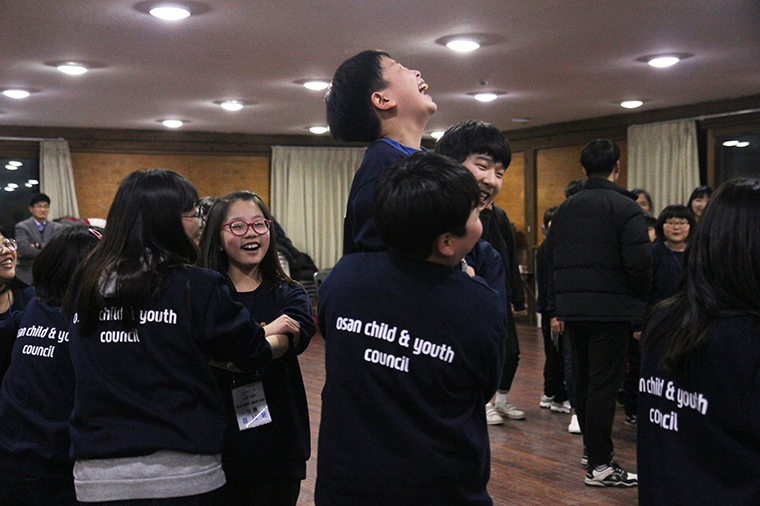 Members of a child and youth assembly during their team-building exercise in Osan. 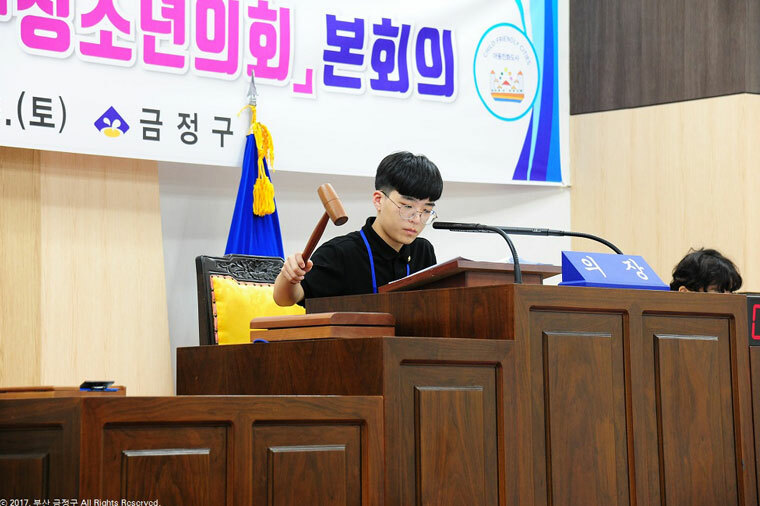 Chairperson of the youth assembly bringing the room to order in Geumjeong-gu, Busan. 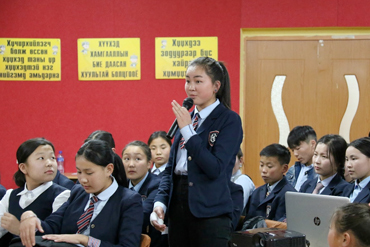 A youth group participating at the municipal government during a session on child rights and the violation of these. 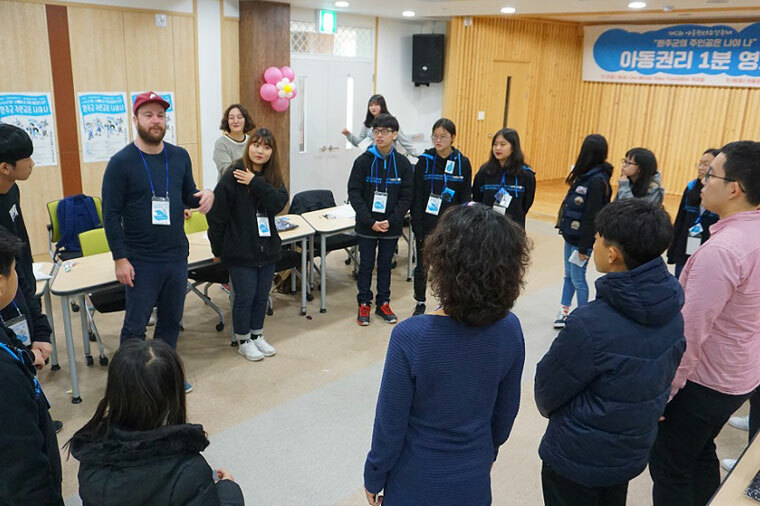 Children at a “One Minute Video, Jr.” workshop in Wanju learning how to make their own movies.